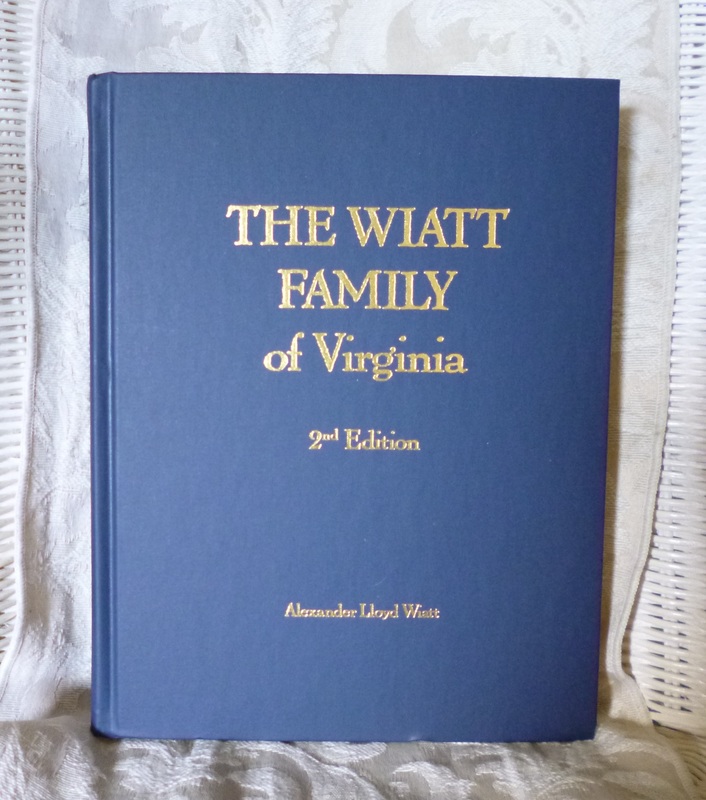 Our cousin Alexander Lloyd Wiatt has written The Wiatt Family of Virginia, 2nd Edition. It begins with the ancient Wyatts of Yorkshire and Kent and traces his line’s descent from Conquest Wiatt of Gloucester Co. Virginia to present times. The photos and stories are wonderful. 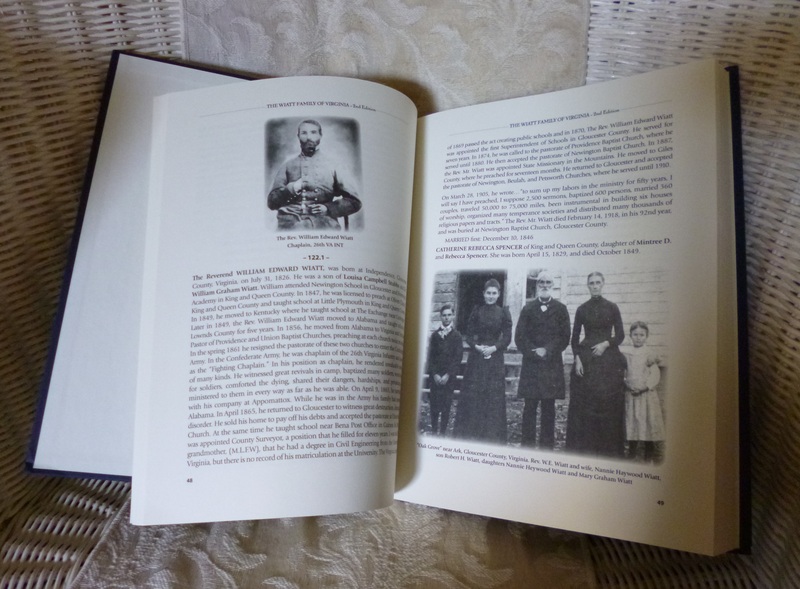 The Wiatt Family of Virginia, 2nd Edition is not available on Amazon, Barnes & Noble, etc., it’s only available through him. $40 includes shipping, which is expensive. If you prefer to pay online, he has a PayPal account.